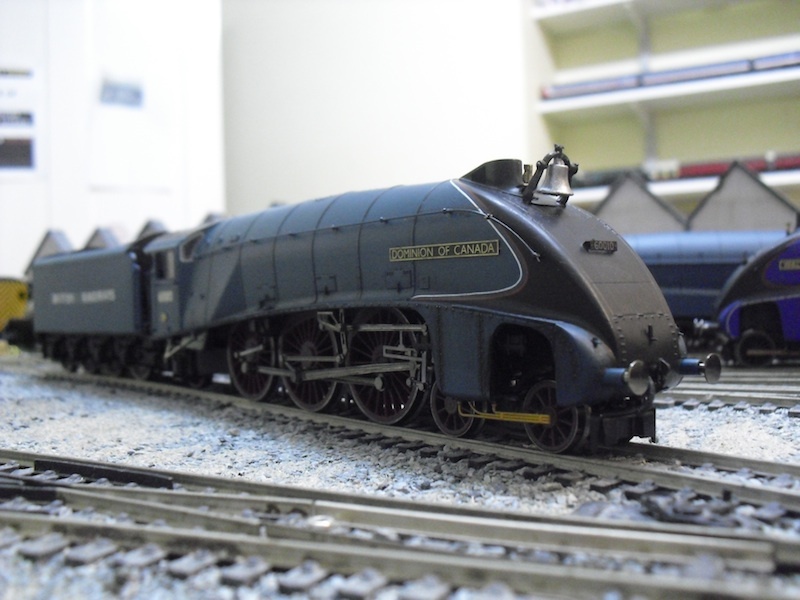 THE BRITISH RAILWAY STORIES LTD: "60010 Dominion of Canada"
How else to describe this particular conversion, but "emotional". There's a lot of emotion behind this one. It all began on a family holiday to Canada. We had met up with my Uncle Edwin and Aunty Grace in Toronto, and taken a variety of transport to arrive in Quebec. Saint-Constant, specifically. Uncle Edwin, or "Uncle Ed", wasn't actually relative by blood, he had married my maternal grandmother's younger sister, but he had always been a close member of the family, and such a wonderfully informed and gentle individual. I had no idea what was in store for me at the age of seven. I had been much enthralled with my Uncle's work on the Canadian Heritage Museum's Lysander, a World War Two spy plane, and in that amazing trip around Canada I had seen some incredible engineering ranging from that beautiful, part restored aircraft to the old Cadillac my uncle Ed ran around in. I gazed up at a particular Canadian steam locomotive - I think it was CNR no.4100 (one time most powerful locomotive in the Commonwealth), and heard my father saying those immortal words "I thought you chaps had a Gresley?" My Uncle went and spoke with a member of the museum, and we were ushered away from the main exhibits, and into a different hall. I can't remember exactly whether we walked, how far we walked if we did, or where it was in relation to CNR no.4100, but all I can remember was seeing shafts of light bursting from a section of roof onto a big, dark, gloomy hulk at the back of the shed. As we approached, I could hear my Uncle correcting my father that "It's just a headboard - we haven't taken Flying Scotsman!" and as I looked away from them to the engine, I saw the word Canada shine gold for a brief second, before the sun outside faded, and the nameplate become a dull and dusty black and tarnished bronze colour. It clicked into place only when I stood back from the dark hulk. I had seen this shape before; three times before, in fact, one in the museum at York, one in steam that was visiting the Mid Hants railway, and one in the Museum in Green Bay, Wisconsin, in the United States the year before. "It's an A4" I said, and I remember Uncle Edwin beaming. "Yes - it's our little piece of British Railways", and he went on to describe Dominion of Canada's working life, its preservation years, and the eventual plans for further restoration in the years to come. "Of course", he said, speaking to my father, "I have always wanted to see it in that beautiful french blue - garter? Garter it is then. Garter blue with the maroon wheels. It's how I remember it, in my last days in Britain. 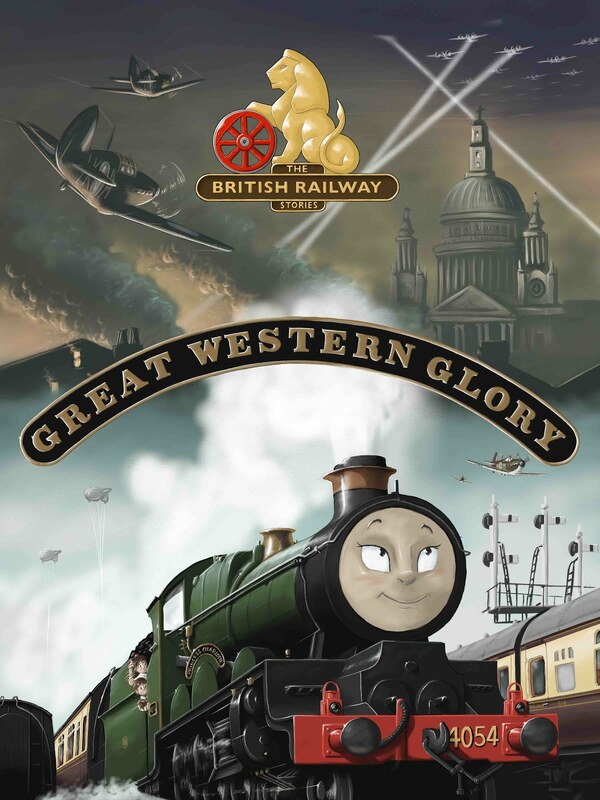 It was a comfort to see this engine during, and after the war. It felt like a piece of Canada I could take comfort in, away from home". He went on to describe the functioning of the bell, how he'd like to see it restored one day with both the bell and the Canadian whistle it had originally had - but "it has to have the valances off. It looks better without the valances, more functional". We all stood there for a few moments longer. 60010 looked, to me, like it had just come straight out of service and into the shed. It still smelled of coal and oil, and though the paintwork was worn and there were patches of rust in places, 60010 looked majestic. A great streak, seemingly forgot by time. Over the next decade and a half, that conversation faded from memory, until I got the call in early 2007 that my Uncle Ed didn't have long to live. I had started an Aeronautical Engineering degree at Loughborough, which had been almost entirely his influence, and whilst the mathematics was getting me down, the fascinating theory behind the principles of flight had kept me going. My last phone call with Uncle Ed talked over some portions of gas turbine theory, his work at Pratt & Whitney, the restoration of the Lysander, which was nearly complete and ready to fly; and to my surprise, a few railway anecdotes that I wrote down and filed away, including this one. I didn't really believe - because I didn't want to - that he was dying. By the time I'd got the money together to fly over there, he had already passed on. I don't think I've ever fully forgiven myself for not spending more time out in Canada over my formative years, seeing Uncle Ed. I am in a way grateful that he didn't live to see me change my degree from Aeronautical Engineering to English, for I fear he would have been disappointed. He would never have shown it - he was that sort of a person, always very glass half full, but I lived to hear the pride in his voice when we used to talk about aircraft. He didn't have any children of his own, and in myself and my cousin Mark, he had what was probably closest to grandchildren. 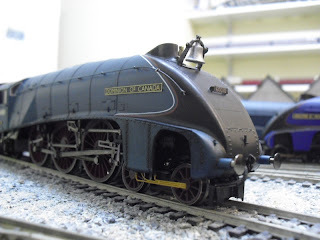 When I found a bell, a turned brass whistle of a size and shape suitable for 60010 in 1949, and managed to get a Hornby model of LNER liveried Kingfisher (single chimney) off eBay - well, I followed the same method I used in making 60022 previously. I made a slight change to my method this time. I had no spare Hornby bracket for the smokebox numberplate, so I stuck the etched nameplate onto a bit of spare brass, and filed/bent it to shape for fitting on the smokebox. 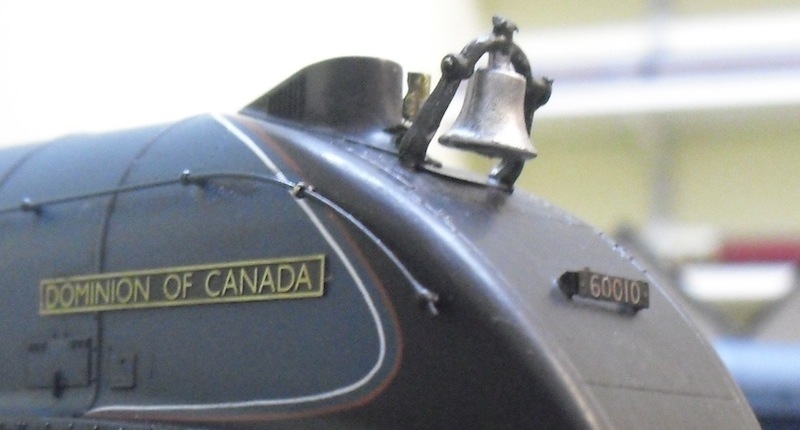 I then added the bell (which ironically, has come off a scrap Canadian Pacific locomotive I got off eBay as a spares or repair job) and the turned brass whistle to get 60010 - not as I remember it - but as my Uncle Ed remembered it. And through it, I will always remember him, and the good times we had together. That is rather a moving tale. And as for the model, really well done, I'm impressed. I have to say, that was rather moving. I really like the conversion, can't wait to see what you come up with next.